A three-member team of auditors from the Food and Veterinary Office of the European Union (EU) is in the country to assess the quality of Ghana’s vegetables. The audit will enable the EU office on food safety to reconsider a three-year-old embargo on vegetables export from Ghana to the EU Market. The auditors who are expected to end their duty tour by Saturday, September 21, 2017, will among other things thoroughly assess the sanitary and phytosanitary systems in Ghana required for ensuring the safety of food items and fresh produce. 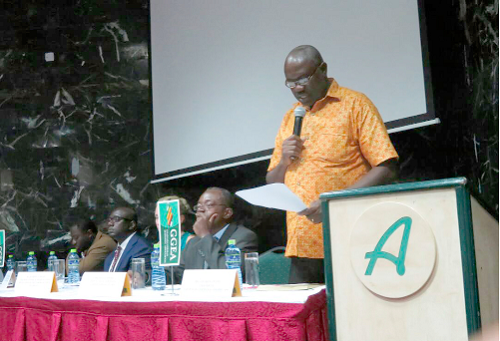 The acting Director, Plant Protection and Regulations Services of the Ministry of Food and Agriculture (MoFA), Mr Eric Quaye, disclosed this at a forum organised by the Ghanaian-German Economic Association (GGEA) in Accra last Wednesday. He said the country had taken steps to upgrade its sanitary and phytosanitary systems and infrastructure in order to reverse the ban on exports of five vegetables-capsicum, solanum species-aubergines, momordica, luffa and lagenaria (gourd family)-after failing an assessment in 2015 due to high levels of interceptions in the EU Market. Mr Quaye expressed the confidence that the country would pass the audit following robust measures deployed to correct anomalies in the system. “We have now put in place the right measures, which include upgrading exporting facilities at the Kotoka International Airport (KIA) and skills of Plant Protection and Regulatory Services Directorate (PPRSD) inspectors to pave the way for the ban on these five vegetables to be reversed,” he said. The EU three years ago banned the exports of chillies, aubergine and other vegetables from Ghana to stop the introduction of pests into the ecosystem of the EU. Also affected are gourds and Asian vegetables. Ghana is said to have lost more than $30 million worth of exports of the selected vegetables to the EU Market, since the ban three years ago. Going forward, the President of the GGEA, Mr Stephen Antwi, told the Daily Graphic that the government must also deploy robust plans to prevent any future ban. “The ban in the first place was as a result of failures on our part to implement certain policies and execute them. Therefore, we need to follow through the stipulated EU guidelines to prevent future ban,” he stated. He said it was the hope of stakeholders in the industry that the ban would be lifted following the measures the government had deployed. “But we need to be consistent in following the rules of exporting vegetables to the EU Market. Whether in the area of sanitary and phytosanitary systems or warehousing management, let’s put robust measure in place to help increase trade,” Mr Antwi stated. The forum, which was the sixth in a series this year, was on the theme: ‘Overcoming the Challenges in the Export of Agro Products to the EU Market’ and brought participants from the private sector, policy makers and people from government to deliberate on issues affecting businesses in the country. 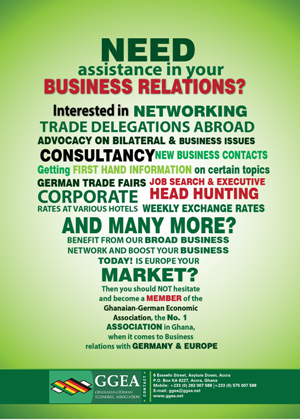 The forum also gave participants an opportunity to know more about the various developments in the export trade business.